TIP #4: WHAT COULD POSSIBLY GO WRONG? 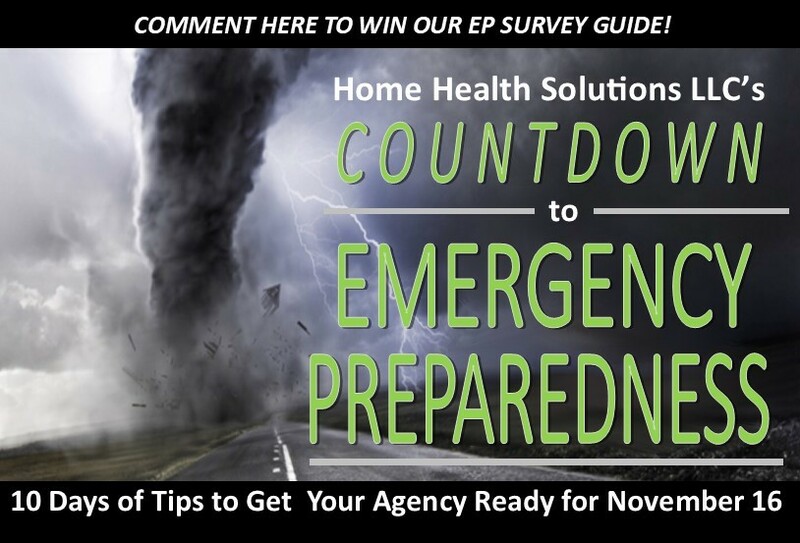 One of the key components of new Emergency Preparedness Programs which CMS is requiring home health agencies to have in place by the November deadline is an All Hazards Risk Vulnerabilities Assessment. If you’re still wondering exactly this is and where your agency can download its risk assessment form, we have some disappointing news. There is no standard risk vulnerabilities assessment form agencies can download and fill out to comply. 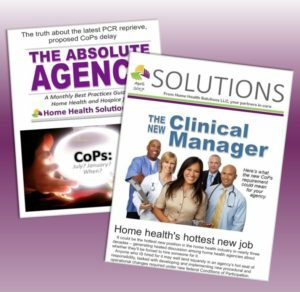 CMS leaves the actual format of the risk assessment – whether it will be a form or even a full, written report with a chapter-by-chapter analysis — to the discretion of the home health agency. You will see many different versions and samples of suggested risk assessments all over the internet, ranging from basic to complex. 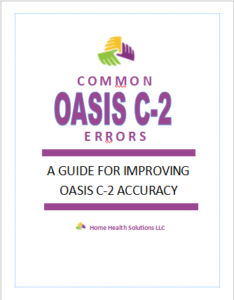 Whichever format your risk assessment takes, bear in mind that the easier it is to read, with information presented clearly and concisely, the more likely Surveyors are to look at it favorably. Surveyors are human, too – and no one likes wading through a disorganized mess or too much information. CMS does provide some guidance about the risk assessment. Your agency will need to determine your vulnerability (based in large measure on your geographic location and the history there of previous events) to all natural or man-made disasters, including weather-related catastrophes such as winter storms, tornadoes, hurricanes, flooding, wildfires, etc. You’ll also need to evaluate your vulnerability to non-weather emergencies, such as nuclear power plant explosions or acts of terrorism. Each agency’s risk assessment will be based on your particular location and the likelihood of hazardous conditions for you. An agency in North Dakota, for example, will probably devote a great deal of space on its risk assessment to the likelihood of winter storms, so that it can undertake detailed planning for continuity of patient care during ice or blizzards. But an agency in Florida will almost certainly devote most of its space to tropical storms or hurricanes with the potential for high winds and flooding – and may even devote space to the potential for sinkholes. Your agency’s risk assessment shouldn’t necessarily look just like assessments for other agencies in your state. Is your agency located within a few blocks of a major metropolitan airport? You may want to include the possibility of a major plane crash impacting the building in which your agency is housed. Does the river in your small town flood in years with heavy spring rains, closing roadways? Your risk assessment should highlight that risk. Do frequent rock slides impact roadways in the mountainous areas where you serve clients? That is a risk specific to your area, and should be addressed in your risk assessment. Remember that CMS loves data, so build your risk assessment to the extent possible around local data showing previous incidences of ice storms, tornadoes, forest fires, etc. which have occurred in your area. Your local Emergency Management Agency should be able to help provide data, or direct you to state web sites where it can be found. Bear in mind, however, that your risk assessment does not need to be a lengthy and detailed incident report of every power outage or tornado watch experienced in your area over the last few decades. You will only need to provide a comprehensive overview of risks specific to your area. 1. What could possibly go wrong? 2. How will we respond if it does? The goal is to demonstrate that you have thoughtfully and carefully evaluated many different situations likely to make it difficult for you to care for your patients, seeking input from qualified emergency management officials who are trained in dealing with crisis situations, and that you have set in place mechanisms to maintain continuity of care even under the most challenging circumstances. CMS specifically uses the term “all hazards” in defining the risk assessment, so be sure to weigh all potential hazards, including those which are not weather related. Your assessment should reflect your agency’s vulnerability to cyber attacks, workplace shootings, hostage situations, acts of terror and other man-made crises which could negatively impact your ability to care for your patients. The CMS list above provides the framework for your risk assessment. Flesh it out and make it specific to your agency, and you will have this important element of your Emergency Preparedness Program in place. Of all the new Emergency Preparedness requirements expects home health agencies to meet by November, the community-wide disaster drill (full-scale exercise) is the most intimidating and labor-intensive for many agencies. The community-wide drill is one of two exercises CMS expects home health agencies to stage each year. The second exercise may be a tabletop version, in which the emergency situation is plotted out via paper-only, with participants seated around a discussion table and “talking out” the procedures. But the community-wide drill is a full-scale exercise requiring agencies to work with other agencies in their communities such as first responders, emergency management officials, hospitals, clinics, assisted living facilities and others to stage a mock crisis, and conduct a detailed evaluation afterward of how well things went, identifying areas for improvement. The drill is a major undertaking, requiring much planning and coordination. Did you know, however, that your agency may be exempt from the community-wide drill until next year if you experienced a crisis which required activation of your Emergency Plan? Many agencies in Florida, Texas, Louisiana, South Carolina and Georgia as well as agencies in the Virgin Islands and Puerto Rico were required to activate emergency procedures during this fall’s spate of damaging hurricanes. Wildfires in California are currently threatening areas served by home health agencies. If your agency is located in one of these affected areas – or if you are located in a different area of the country where you experienced a crisis such as tornadic activity, flooding, a blizzard or any other emergency which required your agency to activate emergency procedures – you appear to be exempt from staging a community-wide disaster drill before Nov. 16. Documentation of the activation of your emergency procedures will be required, as well as a thorough evaluation afterward. Note that you will still need to have conducted a tabletop exercise by the deadline in order to be compliant. NOTICE ON TRAINING & EXERCISES: If a facility activates their emergency plan due to a disaster, the facility is exempt from one full-scale/individual based exercise for that year. However, the secondary requirement for a table-top exercise or exercise of choice still applies. Facilities must demonstrate completion of two exercises per annual year.